Free talk: How to manage chronic health conditions using Naturopathic Medicine? Naturopathic Medicine has long been used to treat a range of chronic conditions in a successful and efficient manner. It aims to promote and restore optimum health via different naturopathic treatments. Chronic conditions can be profoundly debilitating and affect the quality of one’s life. It is characterised by signs and symptoms lasting for long periods of time, unlike acute conditions. The clinical presentation of chronic conditions are often confounding due to the involvement of multiple factors in symptom development. It is, therefore, crucial to locate the root cause of the condition in order to deter the progression of the illness. Also it is vital to understand the different stages of disease as it will underpin the appropriate treatment required to reverse the health condition. Consequently, Naturopathic physicians use various diagnostic techniques to interpret the presenting symptoms at the patients’ biochemical, biomechanical or emotional levels in order to treat the patient as a whole rather the mere symptom. In this seminar you will find out how to identify chronic conditions and how to manage them with the aid of Naturopathic Treatments. APPLE CIDER VINEGAR HELPS WITH ACID REFLUX! Thank you to all those who sent their best wishes, or attended Craig’s memorial event last month! It was a pleasure meeting and talking to you, and a wonderful experience to hear of the many lives Craig had such an impact on! This month I would like to bring your attention to apple cider vinegar. It is probably in your kitchen, but did you know about the amazing health benefits that come along with it? Acid reflux usually results from having too little acid in the stomach. Apple cider vinegar is full of antibiotic properties, and can improve the acid content of your stomach by drinking one tablespoon of raw, unfiltered, organic apple cider vinegar mixed in a glass of water. Apple cider vinegar promotes healthy cholesterol and also protects from arterial damage or oxidation, which is the main risk of high cholesterol. The acetic acid it contains helps to suppress your appetite, increase your metabolism and reduce your water retention, all of which helps lose those unwanted pounds. Apple cider vinegar has strong anti-glycemic properties that support a healthy blood sugar level. It also blocks some of the digestion of starch, preventing it from raising your blood sugar. Apple cider vinegar contains many antioxidants to help keep your body healthy and aid your immune system. If you want to drink it daily, just mix two tablespoons into a glass of water. Add a tablespoon of honey if you like, or lemon to add flavour. 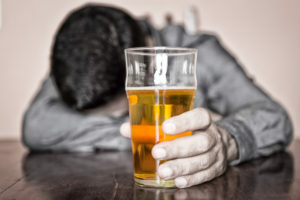 If drinking it does not sound pleasurable, you can add it to your salads, or other dishes to make sure you are still incorporating it into your diet. 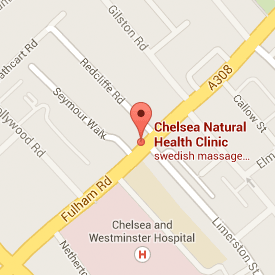 osteopath in chelsea – chelsea osteopaths – orthotics in chelsea. osteopath in chelsea_chelsea osteopaths_orthotics in chelsea.